Multi-head scribing machine - SHIRAI TECH, LIMITED. 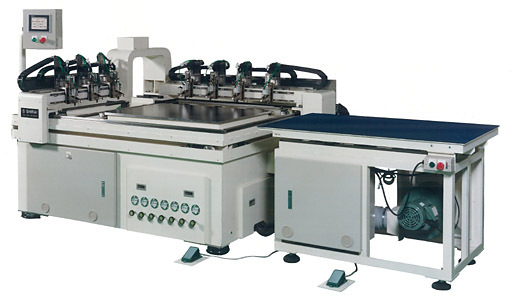 This is a precision cross scribing machine designed to process mother glass panels of up to 1300 ~ 1200mm in size, and by automatically aligning multiple cutting wheels in the length and breadth directions, the machine is able to achieve a scribing accuracy of under ±0.2mm. Also, by connecting front/back transferring units, breaker, grinder, cleaner and unloader, this machine can also be incorporated into the production line.